Pennsylvania is the epicenter of Lyme disease in the US today. 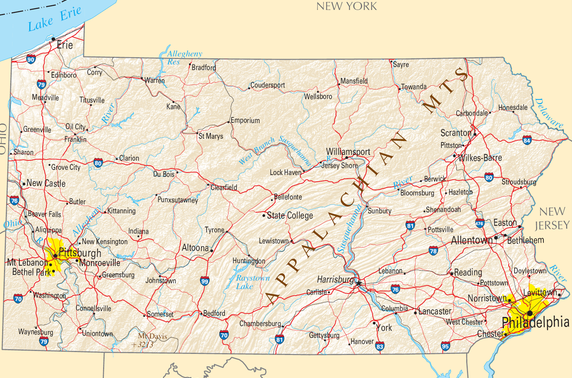 In April we learned that all 67 counties of Pennsylvania had the black-legged tick, the vector for Borrelia burgdorfferi and several other infectious agents. Then a couple of months later it was reported that the Keystone State leads the nation with reported Lyme disease when official numbers were released and 7,400 cases of Lyme disease were recorded in 2014. Last year the legislature passed and former Governor Tom Corbett signed Act 83, which established a Lyme and Related Tick-Borne Diseases Task Force. Recently, the Task Force on Lyme disease published a report offering multiple recommendations in public awareness, prevention, and surveillance. Protocol and Funding Strategy for Schools in High-Risk Areas: This would include the development and implementation of a protocol and funding strategy for schools located in high-risk areas to implement personal protection and property actions (Integrated Tick Management strategies like spraying, various deer management methods, landscape modifications, based on a review of the available evidence on tick reduction approaches) to reduce the risk of tick exposure on school properties and during school activities. Park Staff Protocols: Develop and implement a protocol for federal, state and local park staff and properties to include communicating risk awareness (tick presence, tips for personal protection), and taking property actions (Integrated Tick Management strategies like spraying, use of deer management methods, landscape modifications, vehicle spraying, protective clothing and other methods based on a review of the available evidence on tick reduction approaches) to reduce risk to the staff and the public. Strategy for Reducing Transfusion Transmitted Babesiosis: Develop and implement strategy to reduce risk of transfusion transmitted Babesiosis (TTB) resulting from donors with tick-borne infection. Develop and implement comprehensive multimedia public awareness campaign targeting the general public and at-risk population to improve awareness and understanding of Tick Borne Diseases in Pennsylvania. Disease List Updating and Reporting: This recommendation is two-pronged. (A): Adjust and periodically review the Pennsylvania notifiable disease list. Add Babesiosis and specifically include Powassan virus as an arboviral infection to the state’s notifiable disease list and conduct periodic reviews of the list for TBDs. (B): Report TBDs not included on the Pennsylvania notifiable disease list. Encourage providers to report new and emerging TBDs (i.e., B. miyamotoi) not included on the list regardless of whether or not they were acquired in the state using the unusual disease occurrence reporting mandate. Lyme disease is a huge problem in the US and Pennsylvania, both medically and financially. Lyme disease is the most common vector-borne illness in the United States. The Centers for Disease Control and Prevention (CDC) estimates 329,000 cases occur in the United States each year. In recent years, Pennsylvania has led the nation in the number of reported Lyme disease cases, with 7,457 reported in 2014. CDC studies have found that reported cases of Lyme disease underestimate its true incidence by a factor of ten, indicating that tens of thousands of residents in the commonwealth may be infected with Lyme disease each year. In addition, over $1 billion in annual medical expenses in the United States have been attributed to Lyme disease as well as up to $10,000 per patient annually in lost productivity. Lyme disease patients required 87 percent more visits to the doctor, and 71 percent more visits to the emergency room in comparison with those without Lyme disease. Applying the above cost estimate to Pennsylvania’s 7,400 confirmed/reported Lyme disease cases, the annual estimated cost in lost productivity alone may likely exceed $74 million, according to the report. Just want to add…..some very good info here…just wondering if the dane world is listening??? This problem is just not in Pennsylvania, it’s now world wide thanks to the corrupt coverup. The 10K each year is just about spot on….and it’s out of pocket cuz of CDC IDSA and Insurance companies…not to forget all the others who are corrupt and have their hands out…. I just wrote this in another article….like a little math?.. VERY VERY worried is the answer to this title….Article gave lots of good pointers…..but there is so much more in this corrupt coverup….Do your research …..and pray you are not already a Victim….remember other insects can give this to you…..remember it’s sexually transmitted….it’s in our blood and organ supply cuz of the corrupt testing that CDC, IDSA refuses to change to an accurate one…….Remember this as you think…It’s YOUR responsibility to find and look for these ticks that are so hidden and evaseive on your body…..just so we can protect and keep ticks alive here on land…..stupid…..no?????? 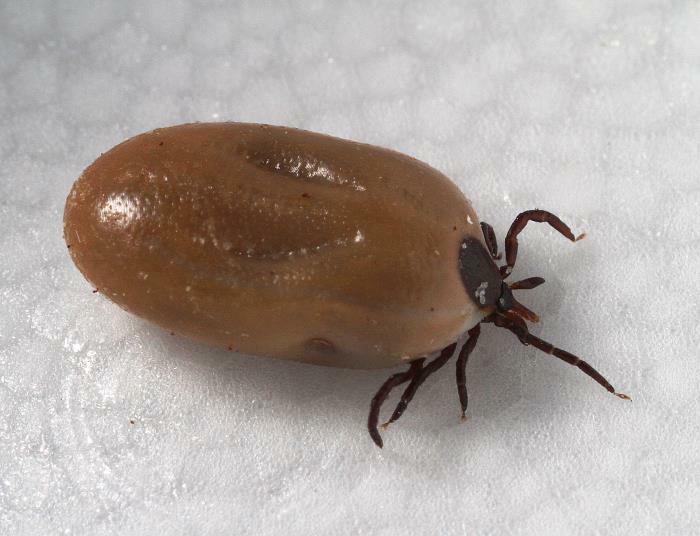 Gets better…..small road in NY gets more than 100 ticks in sheet drag….X’s that by the eggs laid…..3-30K…OUCH! just on a small road you beat the CDC’s number state wide of who will become infected….so….perhaps the truth is….we are the hidden Epidemic corruptly held back for Decades….and now we are a Pandemic…..where NOTHING is being done! This IS a world wide problem….but hey just sit back “they” will take care of you….whatever…..